Whether you like to dip pita chips or veggies, pretzels or just your fingers, check that hummus package before you go snacking: Sabra is recalling 30,000 cases of its classic flavor of hummus sold nationwide over fears that the product could be tainted with listeria. 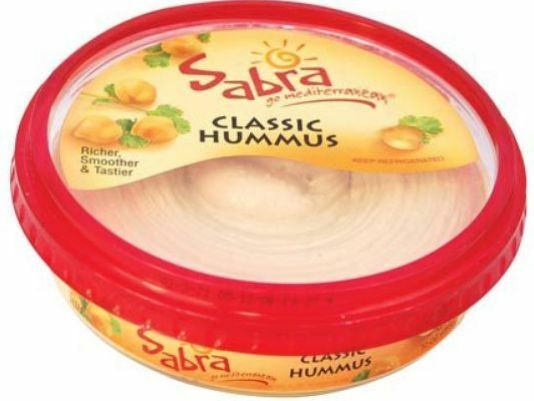 The potential for Listeria monocytogenes in several samples of hummus has prompted Sabra Dipping Co. to voluntary recall 30,000 cases of Classic Hummus, according to the U.S. Food and Drug Administration. Inspectors for the Michigan Department of Agriculture and Rural Development discovered the possible contamination after a routine inspection March 30 at a Kroger store in Port Huron. The recall only applies to five stock unit numbers (SKU) of Classic Hummus, with no other products included in the recall at this time. There have been no reported illnesses linked to the hummus products at this point. Check the top of your product for the following codes and discard any packages that match — consumers can also return them for a refund. Questions? Call Sabra at 888-957-2272 weekdays.